With the recent Google penguin update a few websites got hit in ranking, if this is one of you I recommend you read on. If you are just curious also keep reading. Let’s understand what the penguin update is all about. Google has been on a mission to make sure the websites that show up on searches give the best experience for the user, now I would say that is a pretty good mission. The earlier Panda update did a lot in forcing websites to show user friendly content and tackling link farming practices. 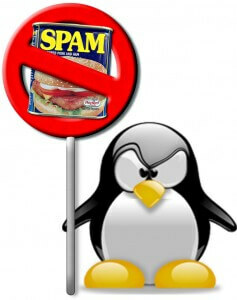 Then Google decided to go after websites that were using spamming practices with their new update, and so came Penguin. If you have your own blog or forum you probably have run into this quite a bit; you will have comments posted on your articles that are not related to the article but just attempts to get links back to some website, in some cases these are so many you need a whole system just to filter them out. Well, with the new Google update these spam links will no longer help the person or company who’s doing them, this forces website owners to create useful content if they want to build an audience and therefore links. This gives us a better internet experience designed to give the user information they want to read and not fake links created for the sole purpose of search engines. I would say that is a pretty good update. What if you have been penalized by the recent update? The reason someone would have been penalized is because they were already doing something not intended to give good user experience. So looking for “new ideas” is just trying to come up with a new way not to do the work, which is the wrong approach. The right approach is very simple, make your website the place to go to get the information you want to show up for. This includes fresh informative articles that someone will want to read, helpful pictures and videos, tips, easy navigation, easy to find information. Remove any spam links you have yourself posted and don’t post new ones. If links are now out of your control write to websites that have them and ask for removal or no-follow, honestly if they are unnatural removal would be best. Keep copy of all the requests and responses. Build good content and concentrate on good customer experience natural links will come from it. If you have been severely penalized after you get your house in order ask Google for reconsideration. If you haven’t been severely penalized you will see your ranking slowly going back up as you do the above. Even heroes have flees, Google knows that, so if you concentrate on good useful content and keep the work on removing bad links (and keeping evidence) you’ll be fine. If you are unwilling to do the work (or have someone do it) and just want the latest and greatest cheap money making idea then I recommend changing line of work. Great article. Instead of learning about Penguin and panda it is better if we stick to the basics of search engine guidelines and focus on optimizing in right manner.